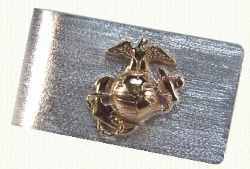 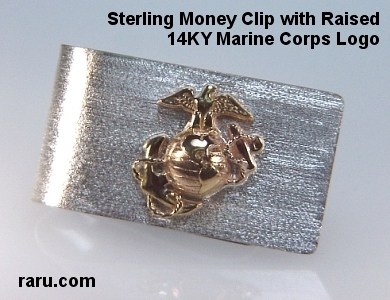 gold raised Marine Corps Emblem. 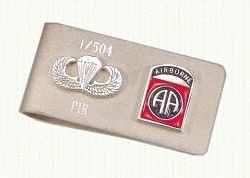 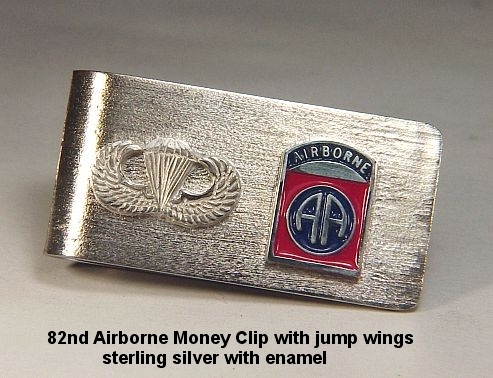 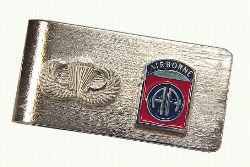 Sterling silver textured money clip with sterling jump wings#5049 and an enameled 82nd Airborne emblem #5207. 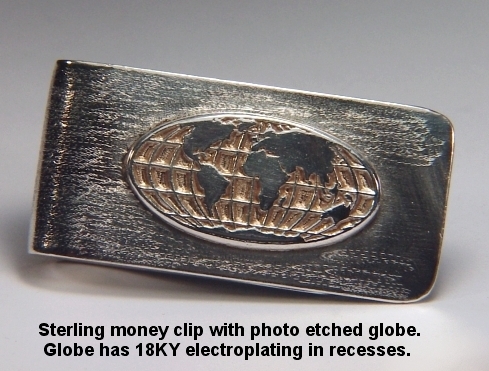 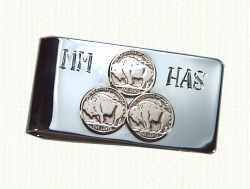 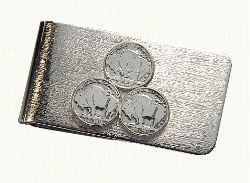 All sterling money clips come with a textured background. 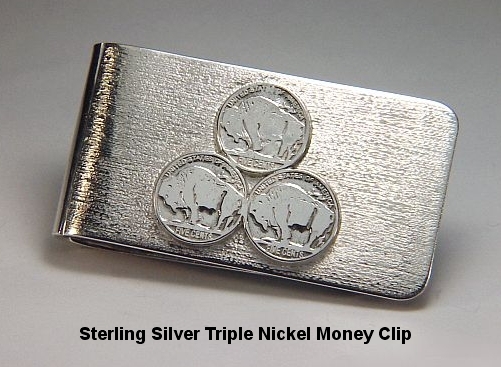 Cost: $160.00 as shown in all sterling silver.